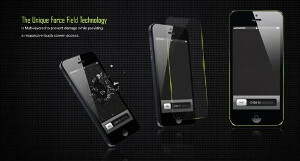 When it comes to screen protectors, a new class of tough products made from tempered glass are gaining popularity. Touted for their impact-resistant and scratch-proof qualities, many companies are rolling out their own versions, including RadioShack's PointMobl, Seidio's Vitero and SPIGEN SGP's Steinheil GLAS.t, but one manufacturer is demonstrating the value of theirs in the most dramatic way possible. Recently Armortech showed off their new tempered glass screen protector by dropping a hammer on an iPhone and shooting an iPad with an air gun. The screen protectors were not only shatter-resistant, but they didn't even have a scratch on them. The upcoming line of Armortech screen protectors not only handle high impact damage, but are one of the only products to protect both the front and back of your mobile device. This not only saves you from having to replace a cracked screen, but helps your device retain its value when you upgrade and are ready to resell your old device. The super-thin glass is still responsive to the touch and is applied without any liquid adherents. The Armortech tempered glass screen protectors will be available early this year. Pricing ranges from $40 for phone protectors to $70 for tablets.